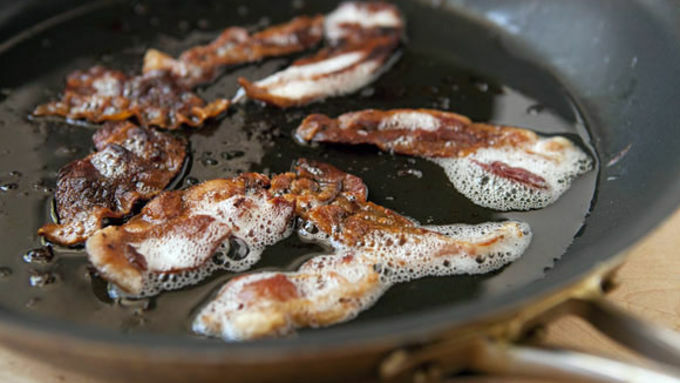 Add bacon strips to a skillet and cook over medium heat until crispy. You want the strips very crispy, as they won't cook further in the waffle. Cook for about 15 minutes. Remove bacon onto a few paper towels to let drain. Stir together batter ingredients in a medium bowl. 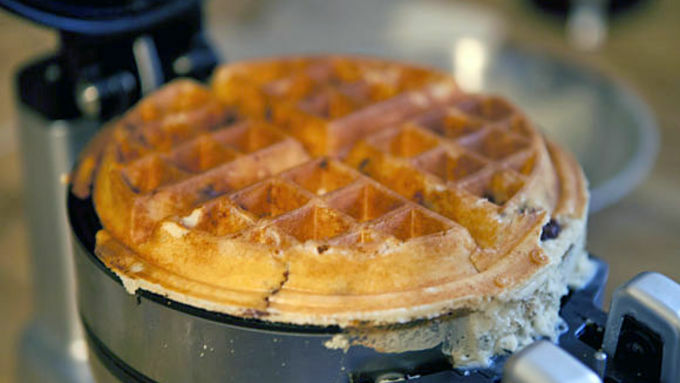 Heat your waffle iron and add a thin layer of batter to the iron. The exact amount will vary depending on your iron model. I add about 1/3 cup of batter in my large iron. 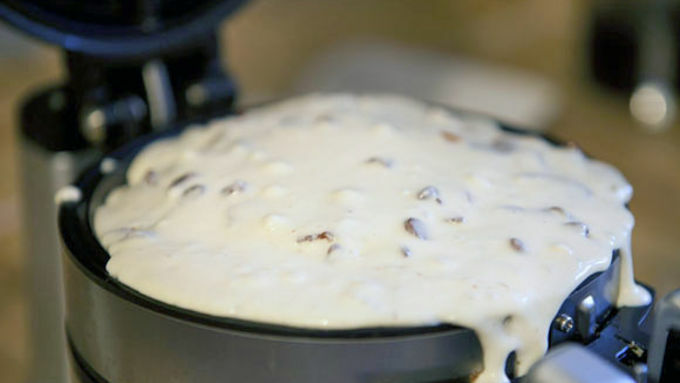 Top the batter with big strips of bacon and chocolate chips. Add another layer of batter on top of the filling. 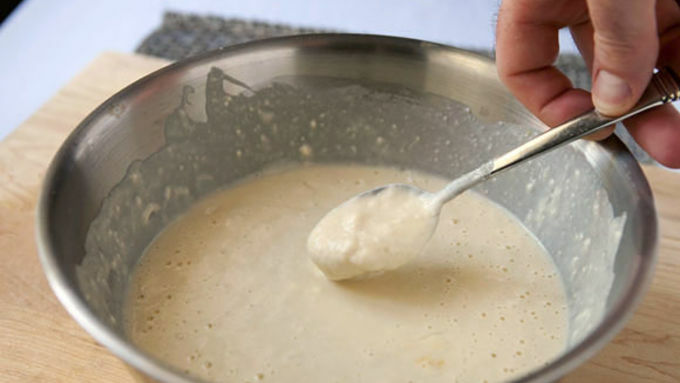 It's okay if the batter overflows a bit. Close the iron and cook as directed by the iron instructions. 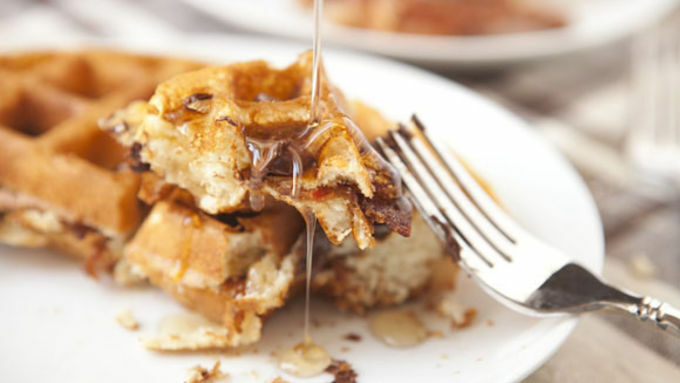 Remove waffle and serve immediately with syrup and topped with extra chocolate chips! There are some flavors in the cooking world that are just made to be together forever. Strawberries and cream. Peanut butter and jelly. Bacon and chocolate. Yep. That’s right. I said bacon and chocolate. Maybe not as common as some of the others, but the two things work awesomely together. You would be remiss to not try a little chocolate on your bacon. Need a practical application? 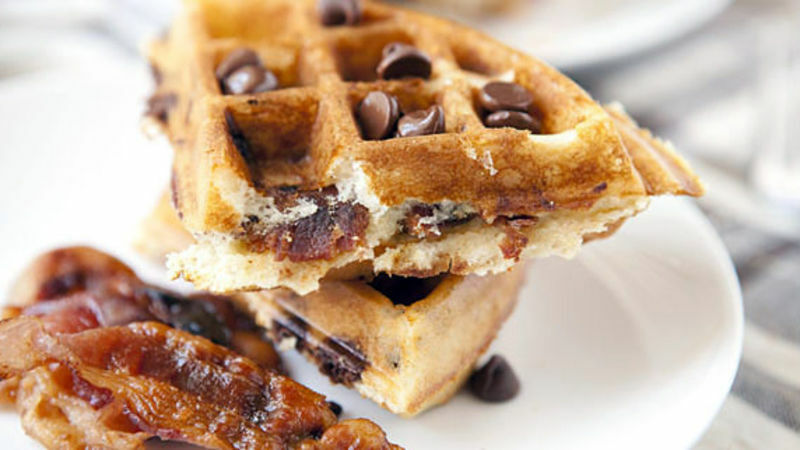 How about these Chocolate and Bacon Waffles!I’m a big fan of homemade waffles, but for this version I used Bisquick to get the job done faster. Depending on your waffle machine your cooking time will vary. Mine needed about five minutes to be really golden brown and delicious. I cut my waffle into quarters and then served it with lots of syrup. The waffle is a little crispy, and then you bite into the large pieces of bacon and sweet chocolate. It’s really delicious, and considering how fancy the waffle ends up, it’s actually not that much work. 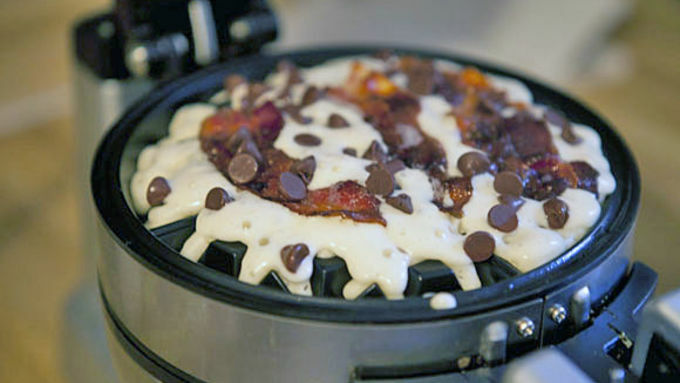 Give this a shot if you’re a waffle (or bacon or chocolate) fanatic!